Electric Llama Presents "The Climax" at The Crown, Baltimore, MD! 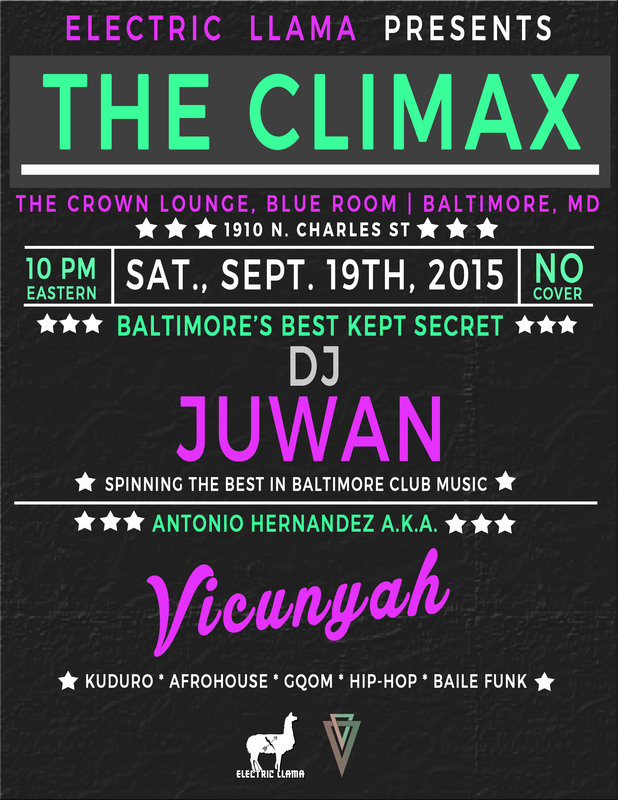 I will join Baltimore’s DJ Juwan, for a night at the Crown’s Blue Room, from 9 PM – close! We will alternate, with Juwan playing new and classic Baltimore club, while I’ll handle the kuduro and afrohouse! Spanish Jazz Musician Antonio Lizana Presents New Album in D.C.